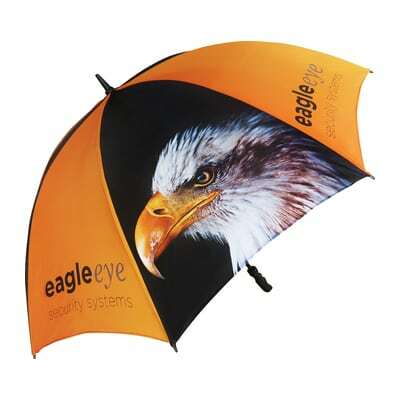 As a promotional item branded umbrellas are one of the most appreciated gifts you can give. Not only are they really welcome when it rains (and let’s face it, this happens quite often!) but also the branding exposure they can give you is perhaps second to none. 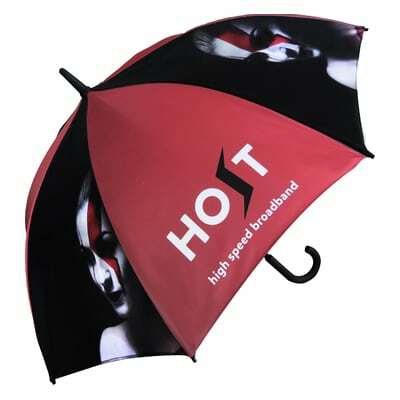 Walk down any high street when it’s wet or when you next attend an outdoor event and you’ll see savvy brands promoting their services. If you notice them, just consider how many other people will do so and the brand exposure you can get on an otherwise miserable day can be significant. 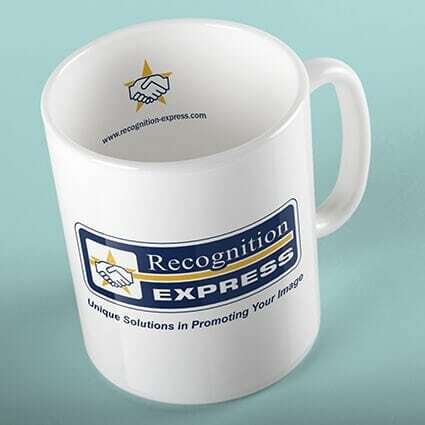 A smart choice that gives great brand presence at a very keen price. With 14mm steel shaft, 75cm ribs and an open diameter of 130cm. Featuring 2 canopies that incorporate a vent to allow gusts of wind to simply pass through. Fibreglass frame with storm-proof ribs, rubber golf grip handle. With 14mm aluminium shaft, 75cm stormproof ribs, open diameter 128cm. 14mm fibreglass stem with automatic opening mechanism, 75cm stormproof fibreglass ribs, 130cm open diameter, EVA handle with decal recess. 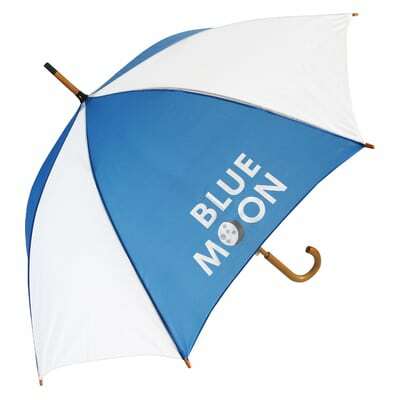 A great branding solution for clubs, bars, cafes and outdoor events. Extra strong two piece adjustable steel shaft 22mm (top) 26mm (bottom) 92cm steel ribs, open diameter 109 cm with adjustable frame. 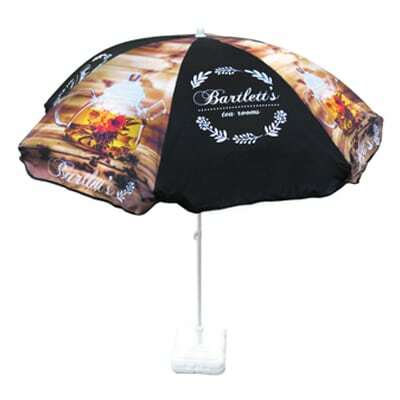 With its wooden stem and crooked handle this is a traditional looking walking umbrella with an automatic opening mechanism. Available in 11 stock colours, 14mm wood shaft, 60cm ribs, open diameter 105cm. Perfect for the city executive! 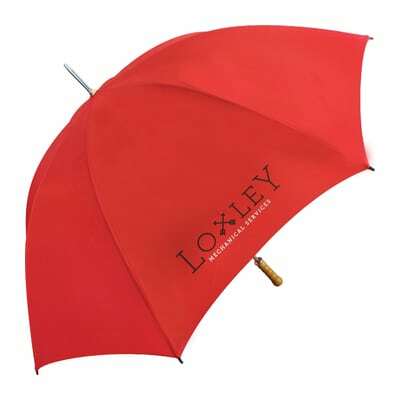 A great feature is the leather or black rubber coated crooked handle, adding an air of distinction and quality. 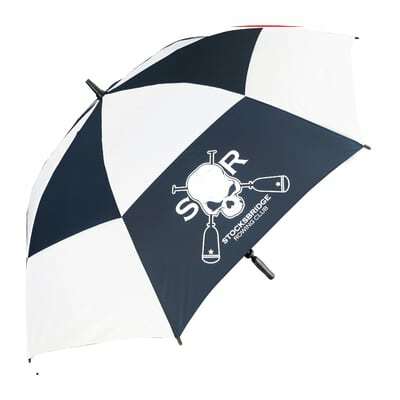 With stormproof ribs, a steel frame and automatic quick-opening, they are ideal for a sudden downpour.